There are a few classic cocktails that everyone should know how to make. And the Manhattan is definitely one that should be on that list. A seductive mixture of rye (or bourbon) whiskey and sweet vermouth, it's one drink that we are sure you'll always be in the mood for. 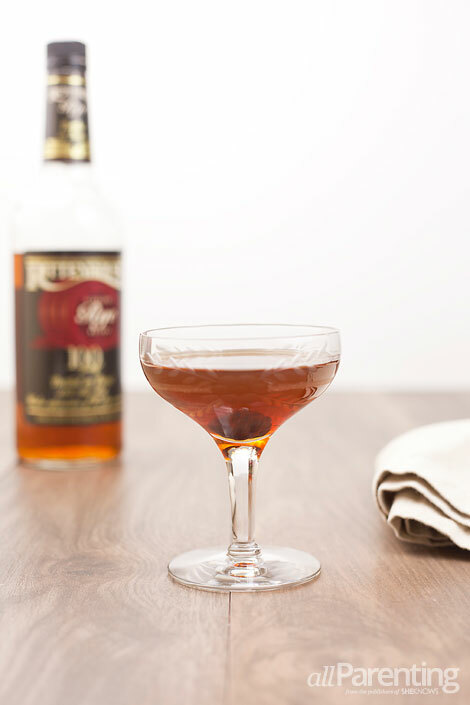 The Manhattan cocktail is a classic dating back to the 1800s that is still popular to this day. Like many drinks hailing from this period, the exact history is unknown. However, it is agreed by cocktail historians to have originated in New York. According to David Wondrich in his book, Imbibe!, many pre-prohibition recipes for the Manhattan cocktail called for a base spirit of "whiskey" rather than specifying rye, bourbon or blended. Personally, I like mine with rye, but others prefer bourbon. Try them both to see what you like best. You'll also want to keep in mind the proof of the whiskey (80 or 100) and the brand of sweet vermouth. In my opinion, a 100-proof rye like Rittenhouse works great with a big vermouth like Carpano Antica. If I'm going with an 80-proof rye like Templeton, I'll usually use Dolin Rouge. Again, play around with the spirits to find out which mix strikes gold for you. And for the final touch on the drink, most recipes call for a maraschino cherry or an orange twist. I tend to use homemade brandied cherries in mine when making at home because I love them in cocktails. ^ For a variation, try a Perfect Manhattan or an Emerald Cocktail.